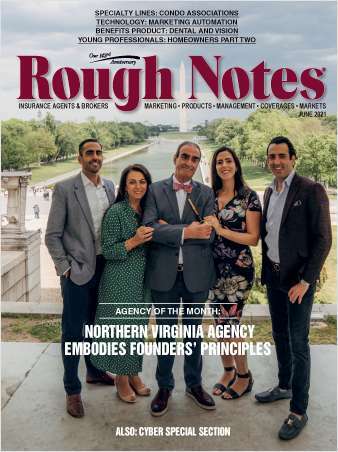 Free Magazine Subscription: "Rough Notes"
The Rough Notes: company products and solutions gives you access to risk and insurance information from credible experts you know you can trust. We pledge to continue our tradition of listening to the needs of the insurance marketplace and produce solutions that will fulfill those needs. By submitting this content request, I have legitimate interest in the content and agree that The Rough Notes Co. Inc., their partners, and the creators of any other content I have selected may contact me regarding news, products, and services that may be of interest to me. Do you wish to receive a FREE subscription to Rough Notes?